Rodney, do you have any 50’s music? Ah. . .sure. What do you need? Well, Jack’s uncle and aunt are celebrating their 50th wedding anniversary and we wanted to provide some music for the party. Okay, what kind of music do you want? We just said, 50’s style. No, they didn’t. My neighbors approached me over the weekend with the above request. On the surface, it’s a simple ask, right? Find music that was recorded in the 1950’s. The point is that simply looking at when a song was recorded won’t give you a good playlist. It’s not a good enough filter. There’s a business application from this example. Will this project have a pre-planning meeting? Sure, that’s where you tell us 80% of the requirements and assure us that the design is complete. Oh, and I want to be able to access that information using a web browser. And customers should be able to view their previous history, but no one else’s. And if they find a mistake, I want them to be able to contact us about resolving it. It’s called scope creep. Well, #2 is called that. But, if the customer thinks they already asked for a feature, you are often stuck with scope creep whether you allow additional requests or not. The pre-planning meeting is crucial to make sure that what the engineering team is about to build is actually what the customer is requesting. No. No, we don’t want that! I didn’t think so. I’ve got lots of it, but it’s an acquired taste. Next is rock and roll. Think Elvis, Buddy Holly, the soundtrack to American Graffiti. Oh, well, some of the relatives are pretty conservative and I’m not sure that rock and roll would work for a wedding anniversary party anyway. Okay, that brings us to the third category; Frank Sinatra, big band sound, and jazz. Okay. I was done, right? My wonderful project management skills prevented the disaster of Patsy Cline belting out “Crazy” at the party for two old people. Nope. We’re only 80% of the way to our actual design requirements. Do you want me to burn the MP3’s to a CD, or copy them to a thumb drive or what? Well, the party is today in a couple of hours and it’s down in Provo. Oh. . .well, I’ll make a playlist and why don’t you just borrow my iPad? Yes, they are that kind of neighbor’s. I was confident they would take care of my device. Okay, NOW I’m done? 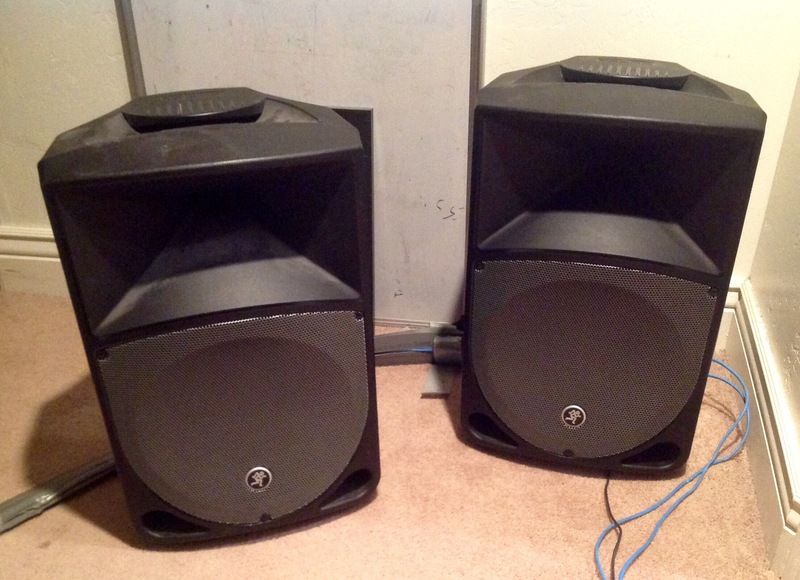 Do you have some speakers we could borrow? 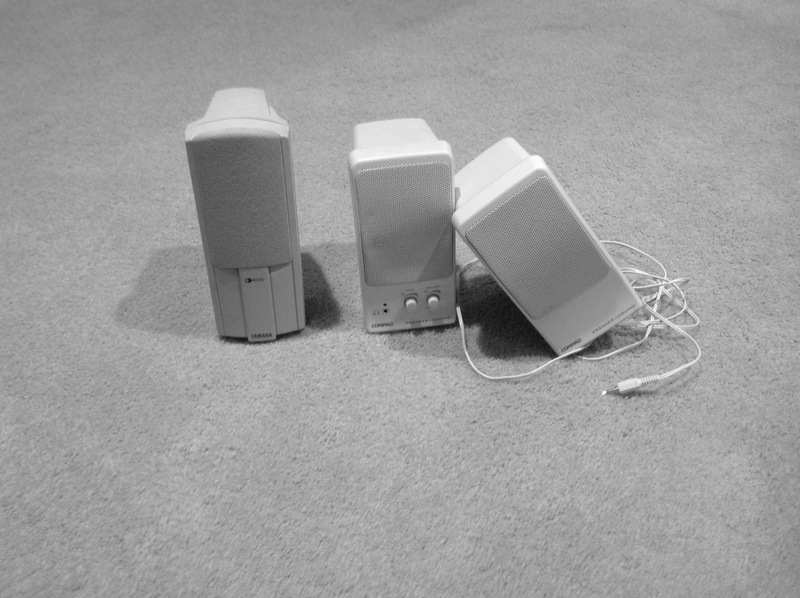 Sure, I think I’ve got several old PC speakers. Well, it’s a pretty big room. Do you think we could borrow your Mackay speakers? Well, you’re going to need the mixer board and you might as well take my cables and microphones. There are two speaker stands, a couple of mic stands and pretty much any connectors and cables you will need. Wow, this is exactly what we needed. Thank you so much. The request for “some 50’s music” morphed into a jazz/Sinatra playlist, iPad and sound system capable of lighting up an entire auditorium. I heard the party was a huge success. They went completely through the playlist twice. Sinatra, Billie Holiday, Harry ‘Connick. And no one was offended by the playlist.